Interfax reports, Russian Interior Ministry confirms that from fatal gunshot wounds in a hospital Russian criminal Aslan Usoyan (Grandpa Hassan) died. As it was reported earlier, there was an attempted assassination against Grandpa Hassan. This famous criminal authority has been a victim or attempted murder twice in the last few years. Law enforcement agencies report, that several bullets were released against Usoyan. The incident happened in the center of Moscow near a restaurant in the street Povarskaya. 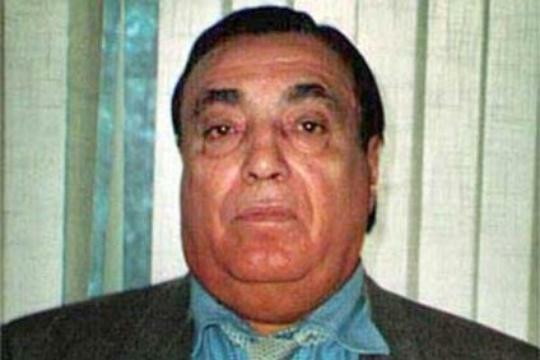 Aslan Usoyan aka Grandpa Hassan is an ethnic Kurdish Yezidi mobster and thief in law began his career operating in Georgia, continued in Moscow, Ural, Siberia, Uzbekistan, Krasnodar, Sochi, and other parts of ex-USSR. Starting in 2007, Usoyan was embroiled in a gang war with Georgian mobster Tariel Oniani, who was seeking to reestablish himself in Moscow. Several of Usoyan’s top lieutenants were killed including the Armenian national Alek Minalyan, a man allegedly in charge of extorting construction firms working on the 2014 Winter Olympics. In July 2008 police raided Oniani’s yacht as a meeting took place amongst the criminal leaders in an attempt to settle the conflict. Usoyan was not however amongst those detained. He later gave an interview to a newspaper, denying the stories of escalating violence and stated that “We are a peaceful people and don’t bother anybody, we are for peace in order to prevent lawlessness”. Vyacheslav Ivankov was brought in to mediate the conflict, in which he sided with Usoyan’s faction. He was however shot by a sniper while leaving a Moscow restaurant in July 2009, and died of his wounds in October that year. Although he did not attend, Usoyan sent an elaborate wreath to Ivankov’s funeral saying “To our brother from Grandpa Hassan”. In April 2010 Usoyan was arrested by Ukrainian security forces after entering the country illegally using false documents. His business in Ukraine was allegedly connected to a rift with an Armenian organized crime group. On September 16, Usoyan was shot by a 9mm calibre bullet fired by an unidentified assailant in central Moscow, but survived the attack along with his bodyguard who was also wounded. It was at first announced to the press that Usoyan had died to ensure his safety. In the early 2010’s the Obama administration placed sanctions on members of the alleged criminal organisation the Brothers’ Circle. It has been speculated by security expert Mark Galeotti that the so-called Circle is a stand-in for Usoyan’s network.